Published initially in 2008, The Price raised many questions concerning the death of my aunt Eva madden and Included my visit to New Zealand to talk about a forgotten part of NZ history. I met family belonging to William Price. Stood in the courtroom in Napier, NZ where he was sentenced to be hanged, searched for her missing skull and endeavoured to answer the many mysteries surrounding her life and death. It took but a streak of happenstance, a clue in research diggings, to turn 'The Girl from Crewe' into a sleuth with a mission. Janice Madden's passion to solve the mysteries of her murdered aunt have delivered not only a form of family resolution for sweet Eva Madden nut a ripping good yarn with history at its core. Welcome to the world of Eva Madden, the life of a simple servant girl in Edwardian England longing to break the chains of servitude and experience the world. Janice Madden uses her mastery of the English language to bring Eve to life, drawing you into her world and sharing her toil, dreams, travels, love and death with you in such a powerful way, that leaves you feeling that really know Eva. 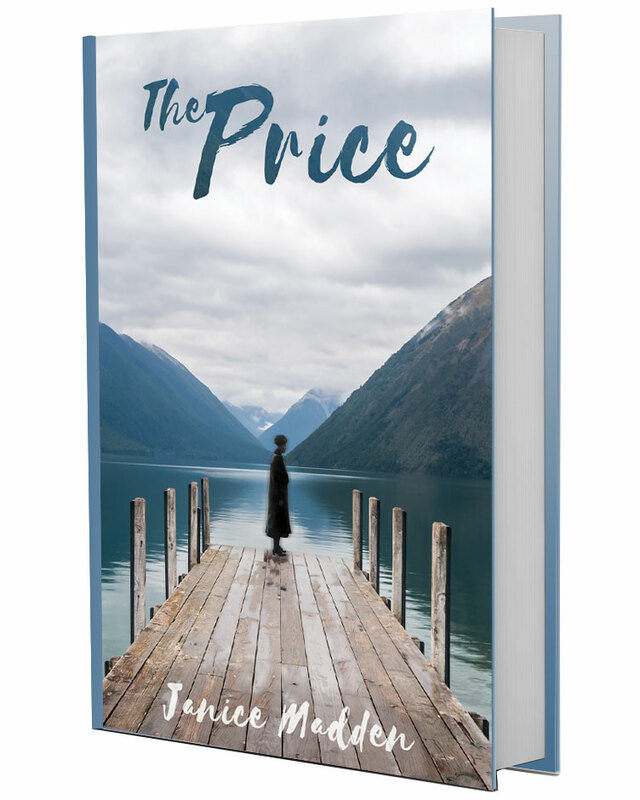 In, The Price, Janice's consummate skills as a world class writer become apparent, as she takes the facts of Eva's life, accumulated over years of meticulous research, and weaves them into such a powerful story, that it will hold you in its grips from start to finish.